“Forever Evil” is a 2013–2014 crossover event published by DC Comics that began in September 2013 and ended in May 2014, consisting of an eponymous, central miniseries written by Geoff Johns and art by David Finch. It is the first line wide crossover since The New 52 reboot of their shared fictional universe, and focuses on all the villains of the DC Universe. The miniseries spins out of the events in “Trinity War”. 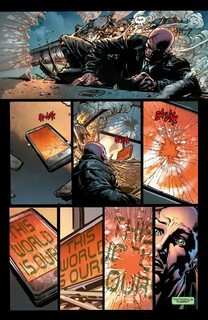 Johns revealed in August 2013, that the Crime Syndicate, an evil version of the Justice League from Earth-3 in the Multiverse, are the true villains of the event and not the previously thought Secret Society. The event was originally scheduled to end in March with Forever Evil #7, yet ended in May 2014, after the final issue got delayed to April, and eventually again to May. The final issue’s delay was due to Johns realizing he needed more pages to conclude the story than originally intended. 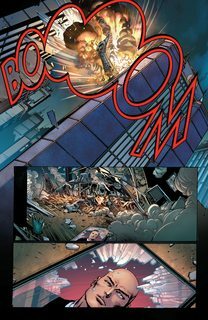 In the final issue of the “Trinity War” event, the leader of the Secret Society, revealed to be Alfred Pennyworth of Earth-3, uses Pandora’s Box to open a gateway from Prime Earth to Earth-3, which allows Ultraman, Superwoman, Owlman, Johnny Quick, Power Ring, and Deathstorm to arrive while their teammate Sea King does not survive the trip. In addition, Superwoman brings a hooded prisoner through the gateway with them. Atom is revealed to be the mole in the Leagues and is actually Atomica from Earth-3. 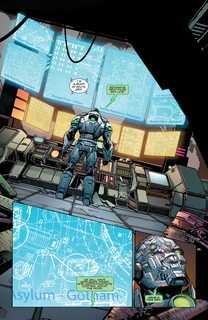 Cyborg’s prosthetics, which have separated from Victor’s body, form into a cyborg named Grid, who is a sentient computer virus. The Crime Syndicate attack the three Justice Leagues and claim Prime Earth now belongs to them. As well, Cheetah is locked in Belle Reve at the end of Justice League #14, and communicates with an unknown person telling them she has been locked up and will wait for Black Manta, while in Constantine #4, Zatanna mentions premonitions of an upcoming war between superheroes triggered by a death, and John Constantine shaking hands with Lex Luthor.